Saving money on a gift is nice, but you know what's nicer? Selecting a gift that will save the recipient money, too. Here are 23 such gifts to consider. So many Christmas gifts – and gadgets, in general – require batteries these days. 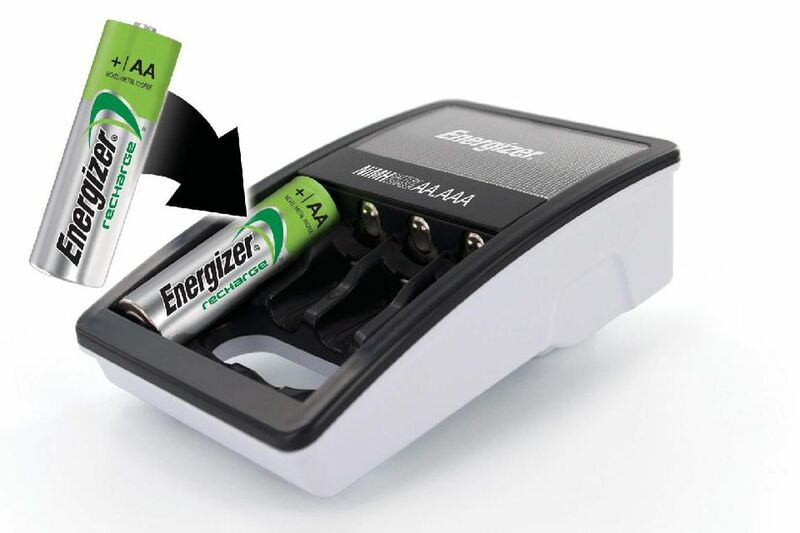 Give the gift of a battery charger and some rechargeable batteries, and you'll be regarded as a true holiday hero. By now we've all heard that LED bulbs can save a lot of money, but how many people have actually made the switch? Identify the hold-outs on your gift list, and give them a pack of LED bulbs to get them started. Newspapers are a great source for coupons and information about free events. Identify the non-subscribers on your gift list, and introduce them to a new way to save. Tip: Buy through Discountednewspapers.com, and you'll save 50% or more off of the subscription cost. School coupon books make a great gift since they're loaded with coupons specific to the recipient's locale, and can be used all year. Don't live close enough to the recipient to buy the local school coupon book? Then, buy an Entertainment Book, instead. They can be purchased online for locations all over the United States. Switching to reusable shopping bags is a great way to go green, and now that more and more stores are offering discounts for bringing your own bags (or charging you extra when you don't), it's also a great way to save green. Make or buy reusable shopping bags for the people on your gift list, and they'll save every time they shop. Plastic sandwich bags have to be bought again and again. Take this item off of someone's shopping list for good by surprising them with a couple reusable sandwich bags. The Lunchskins bags (pictured at left) come with a lifetime warranty. Candles can spruce up a room on the cheap; reduce your reliance on lamps and help you to find your way around the house when the power is out. They're a frugal must-have if ever there was one, and a great gift choice to boot. Buy some nice beeswax candles to give, and cross a few more names off of your shopping list. Flashlights are another can't-live-without item, but the cost of replacing those flashlight batteries? Well, we could all live without that. Purchase crank flashlights for the people on your list, and they'll never have to buy replacement batteries again. With gas prices as high as they are, who wouldn't love to receive a gas card for Christmas? Pick some up the next time you fill up, and your shopping is done. Know someone with a costly bottled water habit? Buy them a high-quality water bottle, like the stainless steel bottle by Klean Kanteen, and help them break that habit for good. Purchase a water filtration pitcher or faucet filtration system for someone on your list, and give the gift of clean, good-tasting water, minus the plastic bottle. Know someone without a crockpot? Then, snag one on sale, and present it with a collection of your favorite crockpot recipes. TVs, computers and many other electronics in our homes use electricity, even when they're turned off. Give the gift of a Smart Strip surge protector, which eliminates this type of energy use, and your friends and family will enjoy a smaller electric bill this month and every month to come. Know someone that enjoys spending time in the kitchen? Encourage the habit by buying them all the supplies they'll need to get started canning. Pick up a nice day planner for someone on your gift list, and you'll save the recipient the expense of having to buy one. Tip: Choose a planner that allows you to write in the dates, rather than one that is made for a specific year. That way, if the recipient already has a planner, yours can be put up for next year. Know someone that enjoys writing letters or that pays bills by mail? Buy them a book of forever stamps and a box of envelopes, and they'll be able to keep up the habit for free. Help someone along the road to financial independence by giving them a copy of a book from a finance guru that you respect. Encourage smart financial decisions with a gift subscription to Money, Kiplinger's Personal Finance, Consumer Reports or Arthur Frommer's Budget Travel. There's nothing like a monthly reminder to spend wisely. A coin sorter is one gift that will literally help the recipient save money. Towels can take FOREVER to dry. Treat someone to a set of quick-dry towels, and help them cut down on the time their towels spend in the dryer (that's good for both their utility bills and the life of their towels). Fabric softener is so 2010. Give everyone on your list a set of wool dryer balls, and wow them with soft, wrinkle-free clothes in less time. If you know someone well enough to buy them a gift, you should also know them well enough to know where they shop – and that makes gift selection a breeze. Choose a gift card for their preferred grocery store, drug store, hair salon, or big box store; and you'll be putting money back into their budget. Everyone has a favorite indulgence. It might be expensive shampoo, a particular brand of coffee or eating at a certain restaurant. Find out what the recipient's favorite is, and then indulge it. It's a gift that will bring them joy, while saving them money.